You may feel the temperature rise as you explore the Norris Geyser Basin because it is the hottest thermal area in Yellowstone. 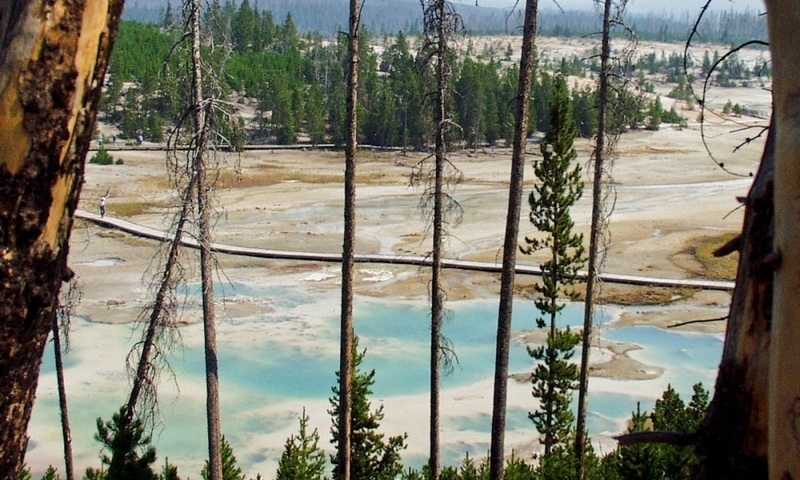 The Porcelain and Back Basins make up what is known as the Norris Geyser Basin. Follow an easy boardwalk trail and discover a number of very hot features including the Emerald Spring and Steamboat Geyser (the tallest geyser in the park). Venture beyond the Porcelain and Back Basins and explore some of Yellowstone's backcountry near the Norris area. Stop by the Norris Museum before exploring the geothermal area. Another great stop is the Museum of the National Park Ranger, where retired rangers and employees will be your host. This first come first serve campground fills up quickly so be sure to come early. Open from mid May to late September.